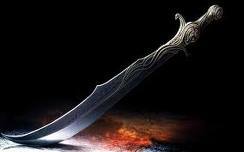 Muslim People: Was Islam Spread by the Sword? · Indonesia is the country that has the largest number of Muslims in the world, and the majority of people in Malaysia are Muslims. But, no Muslim army ever went to Indonesia or Malaysia. It is an established historical fact that Indonesia entered Islam not due to war, but because of its moral message. Despite the disappearance of Islamic government from many regions once ruled by it, their original inhabitants have remained Muslims. Moreover, they carried the message of truth, inviting others to it as well, and in so doing endured harm, affliction and oppression. The same can be said for those in the regions of Syria and Jordan, Egypt, Iraq, North Africa, Asia, the Balkans and in Spain. This shows that the effect of Islam on the population was one of moral conviction, in contrast to occupation by western colonialists, finally compelled to leave lands whose peoples held only memories of affliction, sorrow, subjugation and oppression. In his book Islam at the Crossroads, p.8.